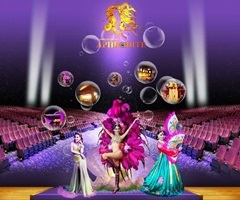 Aphrodite Cabaret Show is our brand new pearl of Andama Sea. The cabaret theatre is built to accommodate 1,000 THB seats and offers an utmost comfort with cool elegance. Among everything else we serve with smile our own in house brewed cool beer. So do include Aphrodite Cabaret in your holiday schedule. Exchange the monotonous entertainments for something exciting. Pick up and drop off from hotel in Potong Beach, Kalim Beach, Kamala Beach. The theatre holds 3 shows a day at 06.00 pm., 07.30 pm. and 09.00 pm.